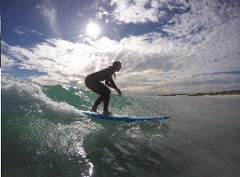 Great cost effective way to learn the art of surfing, have fun and get fit at the same time! Family/Friends Exclusive Lessons. Undivided attention and feedback from our professional surf coach will ensure your skills progress far beyond your expectations. "Taste tester" of learning to surf is a great way to start! 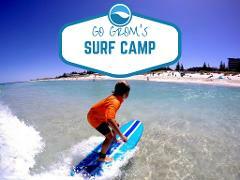 Go Grom's Surf Camp. 5x Days, 2.5 hours per day. Surfing, ocean awareness and beach games. Wetsuit, sunscreen, surfboard, snacks and bottled water provided. A great cost effective way to entertain the kids during the holiday period. 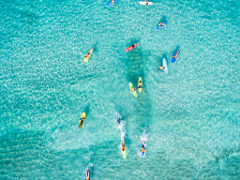 Take your surfing lesson with Perth Go Surf and follow this up with an epic 1 hour of surfboard and wetsuit hire to continue practicing your skills.